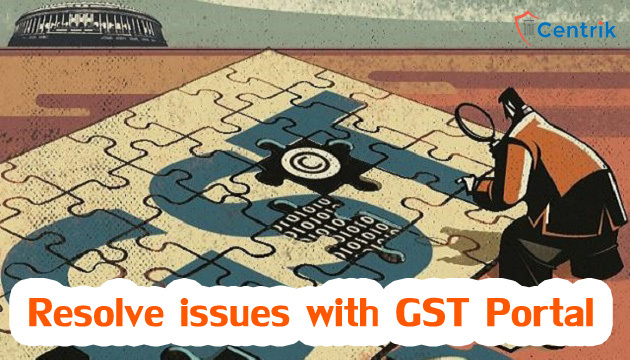 India largest tax reform, the goods and Service Tax was launched on July,1 with the aim of simplifying the existing tax structure, but the GST portal owned by GSTN (Goods and Service Tax Network) a private Limited Company which has been assigned the job of running common Goods and sevice tax portal, fails to deliver the services properly. In this regard, The Bombay High Court on March 6th directed the Centre and the Maharashtra government to resolve the citizens grievances related to the Goods and Services Tax (GST) by April 24 this year (2018). A bench of Justices SC Dharamadhikari and PD Naik also said that the authorities must also ensure that all infrastructure related to implementation of the GST regime was also put in place by the above deadline to ensure that the citizens did not face any problems. While adding, he further said “We trust that the Central and state authorities will resolve all outstanding and pending problems being faced by citizens while following the provisions of the GST regime. The bench said, “The authorities must create necessary infrastructure and make the new system fully operational by the next date of hearing. A petition has been filed by Abicor and Benzel Technoweld Pvt Ltd, a company engaged in the manufacture of robotic and automation equipment. The petitioner had approached the HC claiming that it was unable to access its online profile on the Goods and Service Tax Network. The petitioner claimed that he had been forced to pay late fees while it was unable to file its GST returns online due to technical glitches. Now, all the citizens are just hoping on the words of the government and awaiting for the corrective measures to be taken.